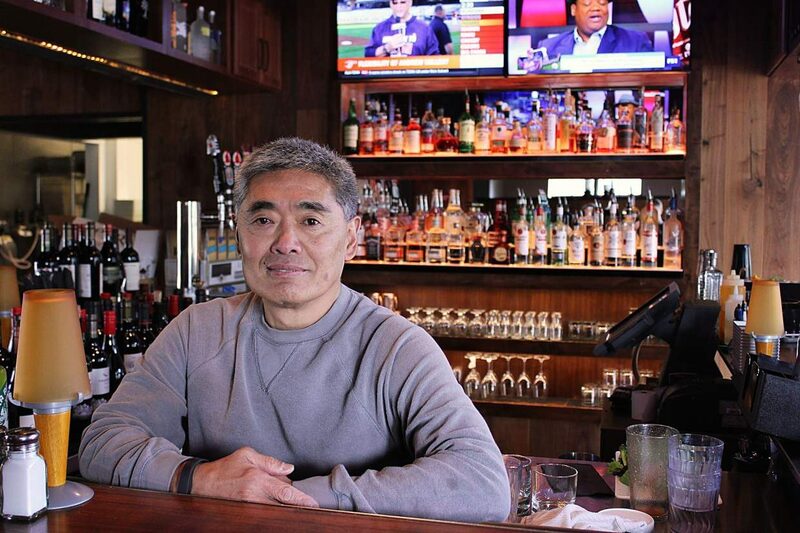 Bob Kato, who has owned restaurants in Summit County for the last 25 years said that the housing crisis impacts businesses fulfilling their staffing needs. Some of Tavern West's staff prepares for the dinner shift on Oct. 12. Because of the housing crisis in Summit County, the restaurant's owner, Bob Kato, said that he has lost employees to better paying jobs. 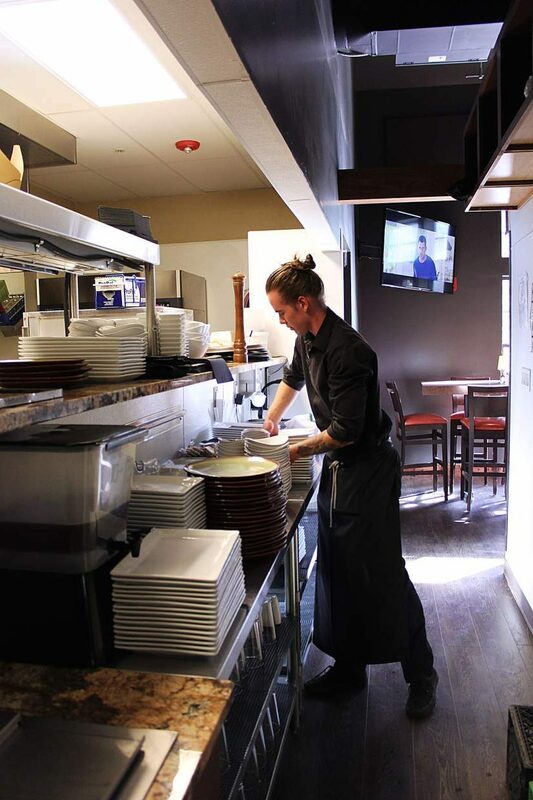 A waiter at Tavern West begins prepping for the dinner shift on Oct. 12. Bob Kato, the owner of the restaurant, said that because of a lack of staff, the staff he does have has to work more frequently. 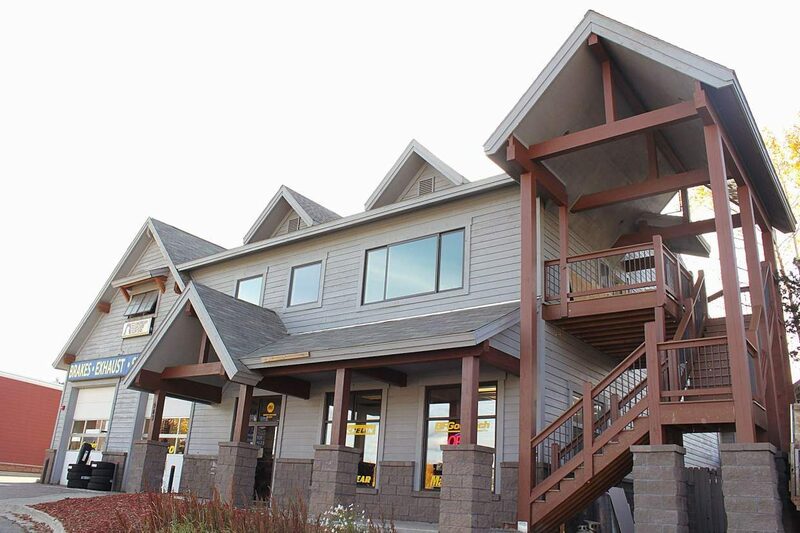 Jim Tinsley, the general manager of the Grease Monkey in Silverthorne, hopes that the new employee housing unit on top on the Summit Automotive Group building will help staff have a place to live. Jim Tinsley, the general manager of the Grease Monkey in Silverthorne, said that the company is hoping to build another employee housing unit once the one on top of the Summit Automotive Group building is finished. 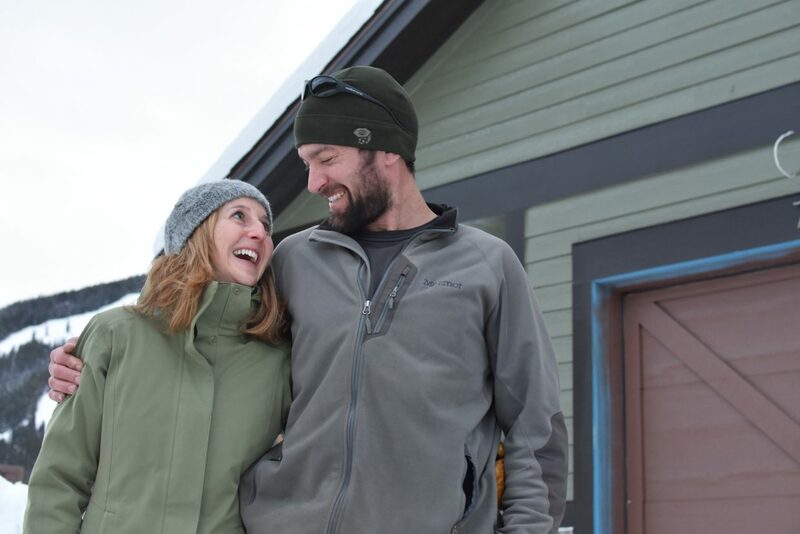 Chris Peterson, the owner of the Grease Monkey in Silverthorne, decided to take matters into his own hand by building an employee housing unit on top of the Summit Automotive building. 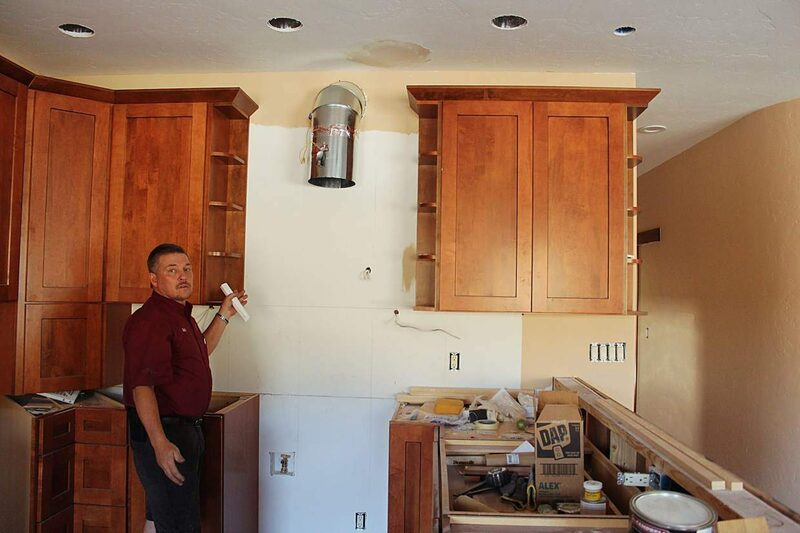 The 2,000 square foot unit will be done in two to three weeks. Editor’s note: The is the fourth in a 13-part series exploring the workforce housing crisis in Summit County. 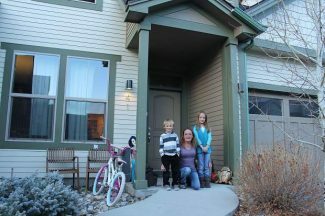 For many business owners in Summit County, the housing crisis causes more than just a problem for their employees — they say it’s damaging to the community as a whole. Bobby Kato, a local restaurant owner, originally came to Summit County in August of 1976 with the dream of becoming a ski bum for a year before going back to college. He said when he first got here the closest grocery store was a Safeway in Leadville and that Main Street in Frisco was a dirt road. “I was young and naïve and wanted to ski,” he said. 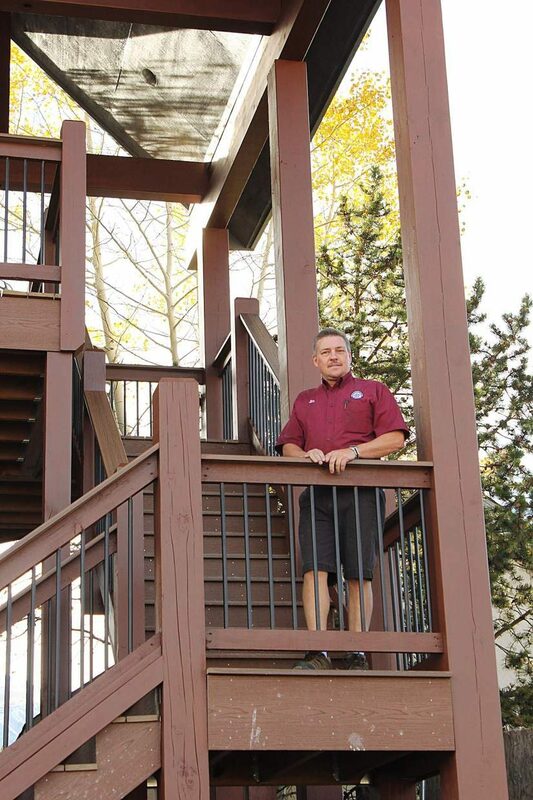 Forty years later, he is an established business owner with five restaurants in Summit County. But the housing crisis has hit Kato hard, making him hesitant to open more restaurants in the area in the future. The lack of affordable housing has caused the cost of doing business to rise. Kato said that with non-local applicants, he won’t even begin talking to them unless they have found housing in the area, shrinking the potential pool of people he can hire from. With a staff shortage, Kato has to rely on the employees he does have for more work, which leads to overtime. Having fewer employees also forces restaurant owners to be more hands on and spend more time on site, he said. “We’re seeing a lot of quality people not coming here and a lot of quality people leaving, and it’s mostly because of housing,” Kato said. 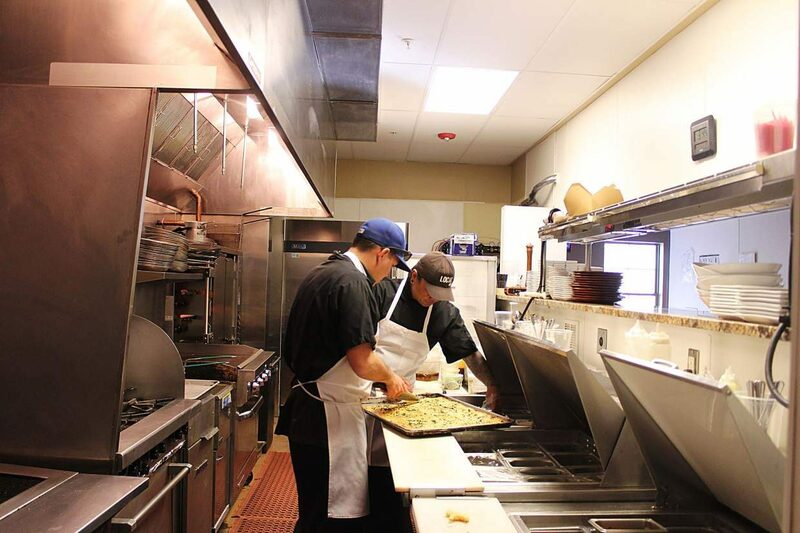 The food services and accommodation industry accounts for 27.2 percent of the workforce in Summit County, according to a demographic and economic profile done by the Colorado Department of Local Affairs (DOLA) from March 2016. The next two largest employers are retail and government, which represent 12.3 percent and 10.8 percent of the pie, respectively. In addition to a service-heavy employment mix, the county’s dependence on tourism has also influenced wages. In 2014, a weekly wage for someone in Summit County averaged $670, whereas the statewide average was $1,014. The report from DOLA says Summit County’s lower wages are reflective of the large amount of retail and service jobs. Making a living in the restaurant industry is a hard go, and Kato said his restaurants have begun to see qualified staff leaving for jobs that pay better. Dan Fallon, who owns Peppino’s Pizza and Subs in Frisco, said that even though some restaurants within the county will start employees above minimum wage, it’s still not enough for some to cover housing expenses. “Even at that wage, people are finding it harder and harder and harder to translate that into long-term sustainable housing,” he said. Although the high season is fast-approaching, Fallon said his business isn’t able to recruit the necessary number of staff members. Keeping them is even more difficult, he said. “The problem is there’s no replacements anymore. 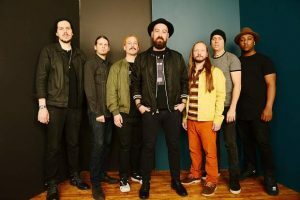 So, people move on, people kind of work for a place for a while, naturally there’s that organic evolution if you will, and that organic turnover, but there’s no one behind them and that’s what’s really critical,” Fallon said. A select few employers — both large and small ­— in the county are able to provide their staff members with housing. As one of the largest employers in the county, Breckenridge Ski Resort makes workforce housing a priority. 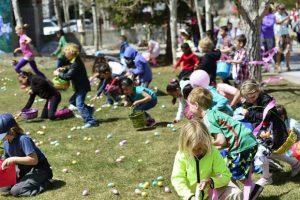 Between Eagle and Summit counties, the resort provides 3,000 beds for its staff. Kristen Petitt Stewart, the resort’s senior communications manager said that the Wintergreen project, which has been proposed for Keystone, is the first of a company-wide $30 million commitment to housing. “Upon Summit County approval, we’ll be providing up to an additional 200 units,” Stewart wrote in an email. She also added that their housing program, which is primarily for first- and second-year employees, has given them a competitive edge when it comes to filling their staffing needs. Other business owners have begun looking into their own options for housing employees. Seth Lyons, who owns the Which Wich locations in Silverthorne and Frisco, has hosted J-1 Exchange Visitor Program employees in his home in the past. The visa program allows international visitors to work here for four months. He said that J-1 workers sometimes have better luck finding housing. But Lyons said the program has recently seen a lack of applicants, and for this upcoming fall and winter season he didn’t have anybody apply to stay at his house. He suspects that the rising price tag in the county has something to do with it. “It’s too expensive to live here,” he said. Like Lyons, Chris Peterson, owner of the Grease Monkey in Silverthorne, decided to take matters into his own hands by building a 2,000-square-foot apartment on top of the Summit Automotive Group building next door. The unit has three bedrooms. The unit will be done in about two or three weeks, according to Peterson. He’s thinking that the apartment will be for staff at the management level. He and his general manager, Jim Tinsley, are hoping to build another three-bedroom unit on top of the Grease Monkey building for other employees. Peterson has owned the Grease Monkey for 20 years, and Tinsley has worked with him for 15. Tinsley said that they have staff coming in from Leadville and Georgetown for work every day. Peterson said that although he has seen similar housing issues, nothing has been this drastic. 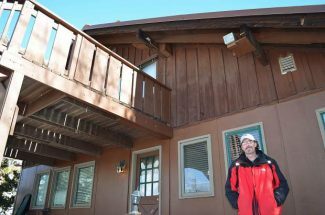 In 2009, Everist Materials, a construction supply company out of Silverthorne, bought three units at Solarado to use for employee housing. Erin Mumma from their human resources department said the three units have two beds and two baths each and are about 1,200- to 1,300-square feet. She said that their employees stay in the units long-term, and that they don’t become available very often. Their size makes the units desirable for families, and Mumma said they also allow pets. To get into one of Everist’s Solarado units, company employees must apply through the Summit County Housing Authority. Mumma said she also interviews potential candidates to make sure they find the best fit for the unit. 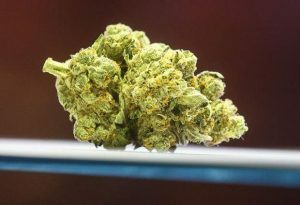 “I see it as a positive benefit for the employees and the company,” Mumma said. 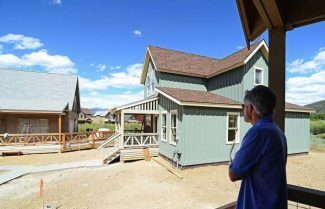 In Breckenridge, the town is able to offer transitional housing for its new hires coming from outside of the county. Kim Dykstra, the director of communications for the town, said that this has helped with recruiting for open positions. Although the town of Breckenridge does not keep statistics on why people leave positions, Dykstra said that within town staff, and out in the community, the issue is apparent. “Housing is one of the reasons that our employees express the need to move,” she said. Summit County’s 2016 Housing Needs Assessment estimated that 1,685 units would be needed by 2020 to keep up with the housing demand. Both Kato and Fallon stressed the need for building more affordable housing, such as the Lake Hill development. While Kato believes building is the first step, he is concerned that once housing developments are approved, they still take time to build. Kato’s fear is that with employees leaving the county or commuting in for work, the community is losing its future leaders. He said that many people here in the county started small, like he did, and eventually became the “pillars of the community.” Although some people originally came here for a seasonal ski job, some stay to create businesses, which in turn employ other community members. 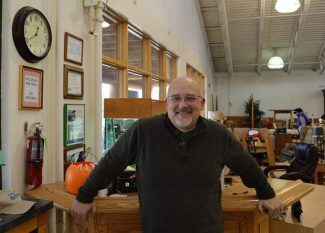 “It’s a shame, I’ve seen a lot of really, really good employees, people that would be strong contributors to the community, leave here because they’re living pay check to pay check and they get so frustrated that they’re not getting ahead,” Kato said.